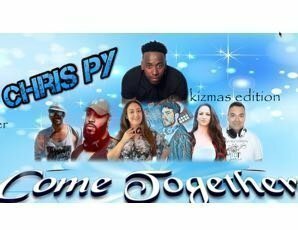 It's time to COME TOGETHER for Kizmas! We have something super special in store for you!!! 2 hours of Special Workshops with the winner of AfricAdançar 2014 and International Instructor, gracing us Down Under, all the way from France is CHRIS PY!!! AND AUSTRALIA'S BIGGEST DJ LINE UP under one roof are COMING TOGETHER AGAIN!! On the decks we have DJ Royber, DJ DB Chris, DJ Mousai, Dario C DJ, DJ Sassy and DJ David Vasquez. * All online prices have an additional booking fee. Tickets at the door are cash only. Workshop placings are limited to make sure you have the best learning experience, so book online to secure your spot in the workshop! And don't forget to come in your best kizmas wear!